However, in the digital era, VR is a great tool to achieve the goal of being profitable. So I would like to present you some cases on how VR solutions have helped to work out these basics on a very practical level. This runs across different sectors and functions, but generally it comes down to the same, and that is to invest smart and understand the return on investment systematics. Let’s first discuss some misunderstandings about the relationship between virtual reality projects and conducting a business that makes sense. 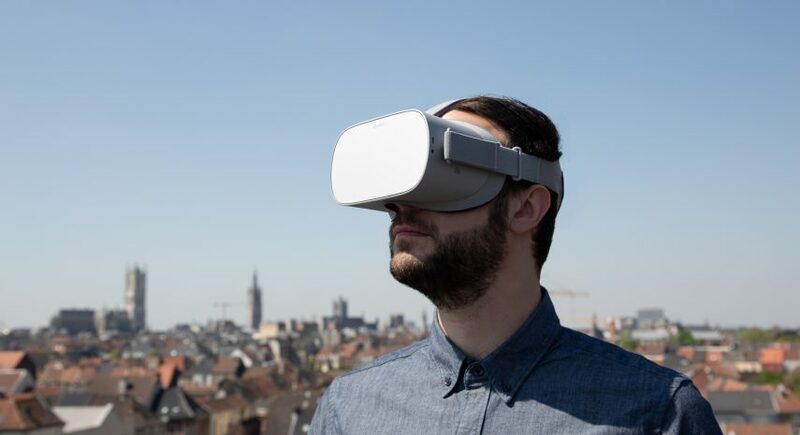 It often is the case that business managers don’t even consider using VR to their benefit because of misconceptions and as such miss out on the opportunity. VR is often considered a gimmick that dissolute marketing managers waste money on just to show off. This might be the case on some rare occasions, as it is with Bentleys, yachts, paintings and other status symbols. However, as you will read, most business managers only think about the bottom line and consider these investments with a genuine business sense. The objective is mostly to convert viewers into highly valuable customers through the use of this immersive media. So it’s not just a gimmick as it has a true economic value to undertakings. It is also a general prejudice that VR is expensive and therefore has no return on investment within a reasonable time frame. Virtual reality is not the cheapest form of marketing material, but is profitable when conceived efficiently and effectively. As with any solution, there are cheap ways to get away with it and for some businesses these are appropriate. But that doesn’t mean that the more expensive VR projects do not have a good return on investment model behind them. Some solutions with push the cost base down, some will increase the revenues and a lot of them will even do both. It’s just about using the tool in a smart way. We believe that, based on the cases in different business areas we will touch upon in this contribution, it is demonstrated that these prejudices are a bad start in terms of mentally processing this technology of the future. A customer who develops home control appliances was looking for an innovative way to effectively display their wide range of home automation solutions in a fair. The usual way to do this is to mimic a domestic environment in hardware so that visitors of the fair get a look and feel demonstration of some of the functionalities. However, this requires a lot of space and is limited to the functionalities one can actually accommodate in such a place as well as having to be assembled before and disassembled after the fair. So it comes down to a high cost with limited impact. 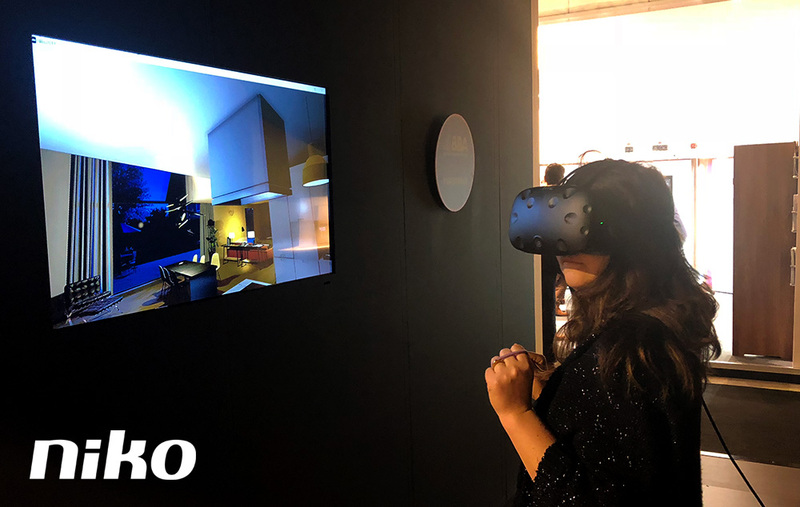 The VR solution conceived was to develop a contemporary domestic environment and demonstrate the capabilities of the automation solutions through recognizable stories, such as leaving the house or children coming home. Visitors of the fair could in a few minutes experience the possibilities offered by the product of our customer. They are not just seeing it but actually living the life they would have if they were to adopt the home automation technology. After the fair, the VR experience was available on the web and at the HQ a complete VR booth facilitated instant demos . There is no need to put hardware away in warehouse where it silently awaits its comeback at the fair next year (to the extent that it is still relevant for the product line issued that year). So to test this against the basic business principles set out at the top here — against a fair investment the marketing goal was met and, as it was not limited to usage during the few days of the fair, even overachieved in terms of the to continuous usability of the investment. Customers got, in just a few minutes time, a high level of understanding of the offering of the company in a game-like moment of indulgence of the inner child. As to the cost, compared to the cost of building, transporting, disassembling, storage and updating a similar domesting physical environment that has limited use, it was more than justified. There were two occasions where I was happy to stay at a hospital, and those were when my rascals were born. The other numerous times one enters these buildings a connotation of disorientation and suffering was very much present. The hospital that called upon Poppr was very much aware of that, but felt that with the help of VR it could make patients more comfortable within their environment. For this, a virtual tour of the main facilities and the maternity section was developed. The objective was twofold. First of all, they wanted to show future mothers the trajectory of labour from the comfort of their own home. In the virtual tour, they can look around the different rooms they would visit and the medical staff provide ample comments through video embedded in the virtual tour. Secondly, any other patient or visitor could get location-based and practical information about their visit to the premises, such access roads, parking and facilities like the pharmacy and gift shop. This helps the patient to feel more at home in the hospital environment, which already takes away one part of the discomfort. So how does this contribute to the financial bottom line? With the risk of stating the obvious let me hand out some points of financial interest. The medical staff spent less time informing individuals, leaving more time to actually do what they are trained for, which is taking care of patients. Places where visitors obstruct the ongoing business of the hospital are suddenly accessible 24/7 from outside of the hospital, such as the labour rooms — they do not need to be visited by parents expecting the birth of their first child. Moreover, the flow of the patients also becomes more efficient. It comes down to an increase of the productivity by the use of an effective VR solution. Let me ask you one question: do you like to know where you’re staying before you book, or are you comfortable with the idea that you’ll find out when you arrive at the place? All too often what you thought was an Olympic-sized swimming pool in the pictures on TripAdvisor turns out to be a glorified bathtub! Some hotels try to cover this with a video showing of some of the perks of staying with them. However, research has shown that people spend triple the time looking at immersive content such as a virtual tour than they do watching promotional videos. So, in first instance, you differentiate your business against your competitors, and at a later stage it will be the market standard you have to meet not to lag behind. Can you imagine the level of occupancy of a budget hotel that is not on Booking.com these days? This is what’s going to happen with 360 content of the rooms. VR also allows you to look at customer behaviour. For example, you can actually identify which room type is the most viewed and most booked. There is plenty to do with that. The profitability of any hospitality business is all about occupancy, and occupancy is generally generated by effective marketing. In this marketing effort, as demonstrated, virtual tours and other VR content can make the difference. My father recently gave me a cut-out from a newspaper he reads on a daily basis. It was about the fact that cities that are popular weekend travel destinations, such as Barcelona, complained that the burden of hosting thousands of tourists was outweighing the economic benefits. Infrastructural investment and the cost of keeping the city clean were specifically mentioned. These cities are changing the paradigm and try to serve at a distance to limit the amount incoming travellers. It being understood that keeping people away was not the objective of the city of Mechelen, part of the concept of virtualization of the city was based on the fact that access to some of the most precious parts had to be limited. The Palace of Margetha of Austria, the frescoes of Saint-John’s church and City Hall can, for various reasons, only be visited when planned in groups and accompanied by a guide. Previously you had little to no idea why you should visit these places and probably could not be hassled with looking for the right place to book a visit. The 360 virtual tour of these places, which can easily be found starting with the helicopter view of the city, converts the culture vultures into visitors who plan their visit. Tourists who visit places because the tour operator sold them on the mystical secludedness of these sites are kept away as a virtual tour generally suffices for them. So the right people come, the others don’t burden the heritage with tourist pollution. In a different respect there is the cathedral’s tower. The 538 steps that separate the ground floor from the skywalk at the summit demand a level of physical fitness that surpasses a vast majority of the population. With the virtual tour everyone can enjoy the view from the skywalk as well as a look inside several levels in the tower structure. The alternative would have been to install an elevator inside or outside the medieval tower, but it doesn’t take a lot of thinking that financially, and probably also aesthetically, this would be dramatic. Even though running a city is not a commercial business, the decision of virtualizing the scenery is not only a matter of prestige but makes perfect sense in terms of public finances as well. Industrial players, when it comes to infrastructure, often face the same challenge. Their facilities are local but their economic perimeter is global. Showing business partners the value of their infrastructure can often involve extensive travel. Apart from the ecological objections to the use of aircrafts, travelling is time-consuming and no one loves jet lag! Another solution is to appoint local proxies, which basically comes down to paying someone to become part of one’s circle of trust. The more one has a standing reputation of trustworthiness, the more you will pay this person. This was the case for a multinational whose warehouses and the tooling inside were the assets essential to each sales pitch. There was an abundance of materials produced to attach to emails, such as management summaries, in-depth descriptions, floor maps, pictures, drawings, etc. However, to get the level of understanding required to trigger the customer in just a few minutes, immersive media is the most effective. This works with recorded media in a 360 virtual tour as well as with 3D-rendered environments. The choice between the two is essentially a matter of cost effectiveness. The principle is to give the interested party an overview at first, allow them to go to the parts that are of interest quickly and provide ample information on demand. By structuring the virtual tour in the most efficient way to get from the point of entry to the point of interest for the target audience, the transactional cost is minimised. This might be a bit of a fancy economist buzzword, but transactional cost has always intrigued me as it’s something we don’t consider enough in the conduct of business. The losses in terms of time and resources we suffer just to come to a sale are often massive. Although a solid CRM can help towards reducing transactional cost, the effort you have to put in getting your message across needs to be addressed as well. Any measure that would push this cost down would be very welcome in my opinion. So in an industrial environment virtual reality is not a matter of prestige, it’s an efficiency tool. Once the problem is diagnosed, the cure may be in the use of the right VR solution. 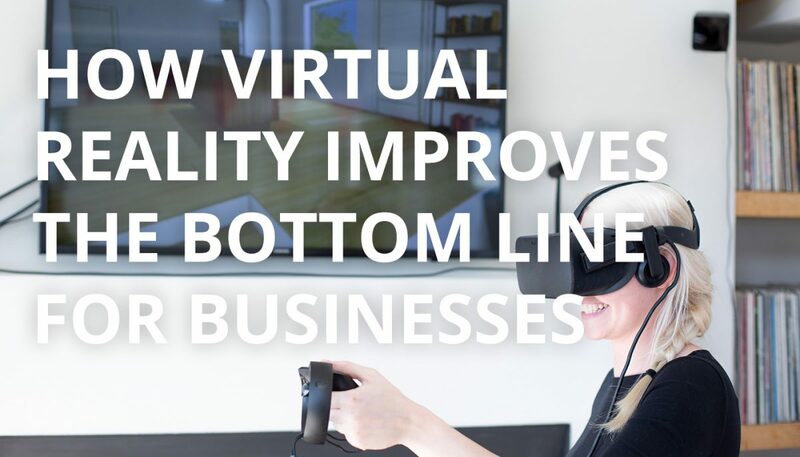 Each of these cases show that VR is a tool to boost your business and make it thrive. Adopting it puts you ahead of your competitors in the first maturity level of the relevant VR technology. When the technology becomes more mature it will define the level playing field in your market and waiting too long may even be the end of something. So I can only encourage you to start thinking what your challenges are. Contact us and we will make time to talk and think with you. That is what we do, all things VR.